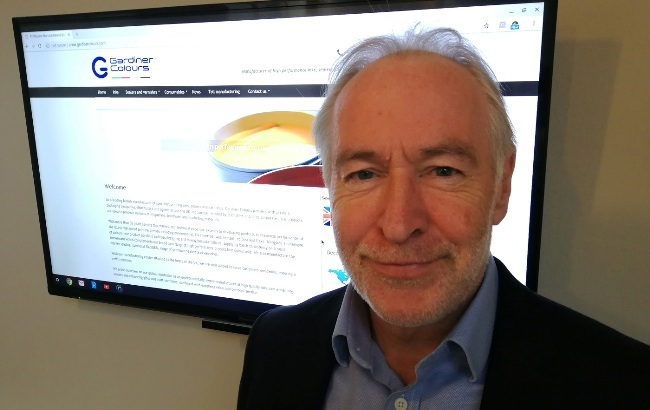 Alan Thomas, who has worked in the print sector for over 40 years, has joined Normanton-based Gardiner Colours, one of the UK’s leading manufacturers of specialist printing inks, sealers and varnishes. Alan’s extensive experience within the print industry includes eight years with Varn Products where he was involved in R&D and press chemicals, before he went on to work for American company Anchor which was later acquired by Fuji Hunt. He also spent 20 years with Ultrachem as factory and technical manager with a wide remit covering production, R&D, product development, technical and sales support, and health and safety. In his new role, Alan will be working with James Gardiner, owner and managing director of Gardiner Colours, to develop a portfolio of new products including fount solutions, blanket and roller washes, plate care products, speciality chemicals and pre-press chemicals. Established in 1981, the multi-million pound turnover business manufactures inks, sealers, varnishes and consumables used by printers and distributors worldwide. Alan said: “Having had a long career in the print sector, working with market leaders such as Ultrachem, Fuji and Varn, I’m looking forward to bringing my expertise to Gardiner Colours. James Gardiner said: “We are fortunate to have found someone with Alan’s breadth of knowledge and he will play a key part in helping us to take the business to the next level by developing and launching a new range, giving us a complete porfolio of pre-press and press room products. “Gardiner Colours is already renowned for our expertise and innovation with many leading printers and distributors choosing our products because of their consistency both in quality and technical performance. The company’s technical expertise includes developing products to maximize performance of the latest high speed printing presses. Within its product portfolio, it also designs and mixes bespoke coloured printing inks, supplying batch consistency on a rapid turnaround when needed.